Spring has officially arrived and there are few things better than a clean home with the windows open and a fresh breeze making its way throughout your home. That said, it can be quite overwhelming if you try to tackle projects in just one weekend. 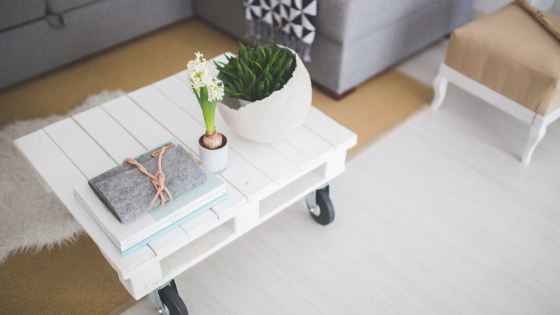 Because we know you also want to enjoy the beautiful weather and activities spring has to offer, we broke it down with our favorite room-by-room tips so you can tackle one space at a time. The kitchen is certainly a room that we tend to clean regularly but now is the time to focus on the deep clean. Move your large appliances away from the wall and vacuum and/or Swiffer to remove dust, food particles and debris. Don’t forget to wipe down the walls surrounding your appliances to clean up any leftover spills, splashes, and splatters. Wipe down all small appliances, countertops, sinks, window sills, and vent hoods. To make cleaning your microwave a breeze, place 1 cup of water with several tablespoons of white or apple cider vinegar in a microwave-safe bowl for 5 – 10 minutes and wipe clean. See more tips here. Don’t forget the inside and outside of your cabinets and pantry shelves. Now would also be a good time to throw away broken or chipped dishes, expired food, combine duplicate items and donate any non-perishables that you don’t plan on consuming any time soon. Turn your oven on auto-clean or heat it until just under 100 degrees and spray a light film of water before spraying non-toxic all-purpose cleaner and wiping down the inside of your oven and scrubbing your racks. This is where we kick ourselves for not having been better at regular maintenance like dusting, vacuuming, and wiping down baseboards. Begin again by moving all of your large furniture and vacuuming where they normally set, between cushions and surrounding baseboards. Clean baseboards and vacuum vents and returns. Dust everything! Don’t forget your electronics, shelving, window sills, doorframes, and mantels. Spring is also a great time to remember to replace your home’s air filters. In addition to dusting furniture, and all of the tasks above in each bedroom (don’t forget the spare or guest spaces), it’s time to declutter and detox your bedrooms. Wash all sheets, pillows, blankets, comforters, pillow covers, and decorative covers. Vacuum your bed from top to bottom (and underneath). Clean and declutter all closets, starting by vacuuming thoroughly and moving on to getting rid of clothing, shoes, etc. Learn how you can make this task easier by starting small, in this blog post. Decluttering and getting rid of items you no longer use doesn’t just hold true for clothes, accessories, and shoes. Begin by checking expiration dates for your personal care products and get rid of old razors, loofas, styling tools, makeup, medications, etc. Next move on to your bathroom curtains, decorative towels, mats, robes and toss them into the wash.
Scrub down your tub keeping an eye on your tub/shower seal and replacing it with new caulk if necessary. Clean the remaining countertops, toilets, showers, tiles, and grout. Wow! That’s quite the list and we didn’t even mention the basement, storage areas, or garage. Spring cleaning can quickly become daunting if you try to tackle it alone or in one weekend. As we said before, just take it one room at a time or group rooms (kids rooms, all of the bathrooms, master suite) to make it easier. We know your weekend hours are precious. Do you have any seasonal deep cleaning tips you use for your home?